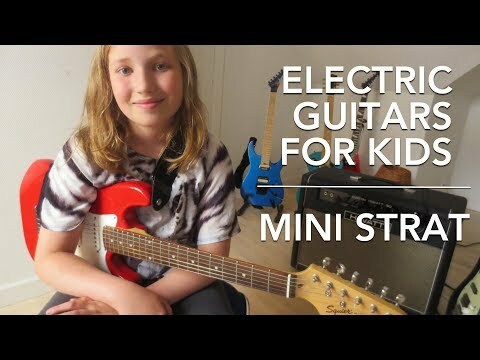 If your child is developing an interest in music and is asking for an electric guitar it is best to avoid the impulse to head over to Toys R Us or Walmart and pick up a cheap starter kit. A lot of the kits that you buy at the big box stores are hard to play and don’t sound very good. If an instrument isn’t easy to play it is very unlikely that your child will want to play it. Kids will quickly tire of trying and the $50 to $100 that you spend on that guitar will be wasted. If you get a high quality instrument from a proper music company (not a toy company), your kids will know the difference and will have a much better chance of maintaining interest and motivation to learn. There is no reason to buy a child a guitar over $200 but you can get a great beginner electric around the $100 mark plus amp which you can get for around $30. The two biggest guitar companies are Gibson and Fender. Gibson is famous for their Les Paul and SG, while Fender is known for their Stratocaster and the Telecaster. They sell other body shapes, but these are their most popular. You can get these popular shapes for a wide range of prices. 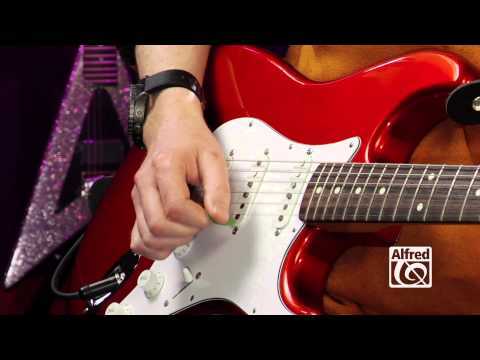 Fender own a company called Squire that they use to put out cheaper versions of the Telecaster or the Stratocaster. These guitars will say “Squier by Fender” and they are a great option for kids. Gibson’s budget brand is called Epiphone, so you can get a guitar called a Epiphone Les Paul that is much cheaper than getting the premium brand Gibson Les Paul. We wouldn’t recommend getting a Gibson or a Fender for a child, but rather some of the models by Squier or Epiphone would be a great choice. Ibanez is another big brand to have a look at, their Mikro model is pretty cool choice for kids. Jay Turser and SX are a couple of budget brands that do ‘copycat’ versions of Fender and Gibson models and were getting a lot of attention a few years ago. You can check out some of their models but I personally would stick with at least a Squire by Fender since you can get them so cheap these days.